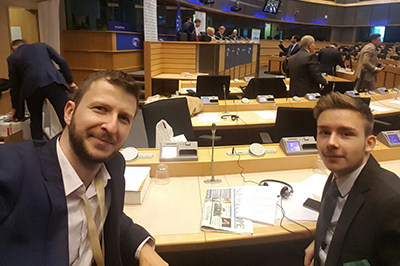 New Europe Editor, Alexandros Koronakis tells us about his participation in "Leaders for a day" programme. Caroline Jenner, CEO of JA Europe, in her latest article advocates the need for entrepreneurship education remembering that it is one of the largest and most successful public-private partnerships in existence today. She also enhances the impact that the Entrepreneurial Skills Pass (ESP) is having in increasing the number of schools, teachers and young people involved. 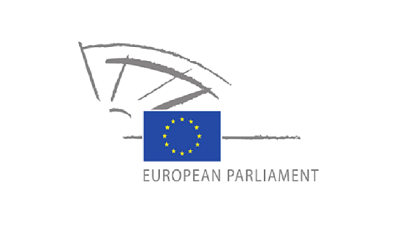 The Committee on Culture and Education of the European Parliament, regarding the motion on skills policies for fighting youth unemployment, recalled the importance of addressing entrepreneurial skills to facilitate young people’s adaptation to the changes in the world of work. The Committee also recognized the Entrepreneurial Skills Pass (ESP) as an important cross-border qualification that is available to achieve this goal by facilitating the mobility of young people across Europe’s job market. Caroline Jenner is on a mission to make entrepreneurship and entrepreneurial skills training an integral part of a student’s education. As CEO of Junior Achievement Europe (JA), Jenner is working closely with schools, businesses and other stakeholders and partners to develop a programme that will ultimately facilitate the match between demand and supply in the labour market. 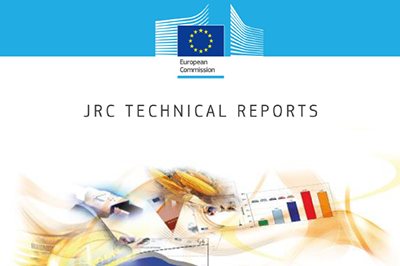 The European Commission - Joint Research Centre has just published an in-depth case-studies report, where the ESP is presented as a reference on how entrepreneurship is taught and learnt as a key competence. 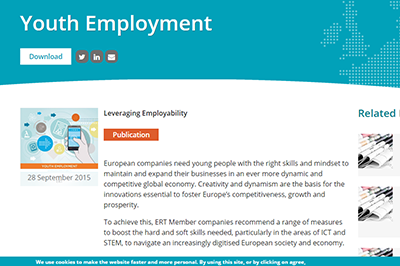 On September 28, the European Round Table of Industrialists (ERT) published a document about leveraging employability and recommended a range of measures to boost the hard and soft skills needed by European companies. A competent young workforce is crucial to retaining the competitiveness of the EU economy as a whole. However, ensuring that the younger generations possess the right skills is becoming more challenging in a shrinking and increasingly competitive job market. The truth is that the skills required to thrive in this day and age are very different from what is being taught at the majority of schools and universities. Entrepreneurs are in demand. Arguably, there has never been a greater need for creative individuals with new ideas and business models who can help modern society to tackle its greatest challenges, including those related to achieving sustainability. The Entrepreneurial Skills Pass (ESP) helps young people realise their entrepreneurial potential and connects them with the companies looking for fresh talent. As the EU struggles with youth unemployment and a growing skills mismatch, initiatives like ESP need wider support from public and private communities. JA-YE Europe, together with WKO and CSR Europe, have developed theEntrepreneurial Skills Pass (ESP) which requires completion of a mini-company experience and an online test. ESP holders will become a pool of uniquely qualified and highly enterprising candidates. The ESP gives potential employers proof that its holder has tangible entrepreneurship experience as well as relevant job skills. CSR Europe is a proud partner and is working to involve companies across Europe in this important initiative, encouraging them to match their entrepreneurship promotion programmes to the ESP. Public policy and businesses must act now to help the EU's youths improve their financial literacy skills. This is crucial if they are to find a job or become successful entrepreneurs, writes Nick Jones. Is an entrepreneurial mindset something you can teach and learn? Yes, we are convinced that you can teach entrepreneurship and the entrepreneurial mindset. Entrepreneurship is all about attitudes, skills and competences. With jobs and growth being the focus of the EU for the next five years, boosting European entrepreneurs has become increasingly important. However, in a borderless Europe, young people entering into business will need a skills and training course that will be recognised wherever they go. It’s said the easy part is getting an idea, the hard part is making it real. It’s a tough time for Europe’s young people. Over 5 million are unemployed and those who don’t go on to higher education are particularly vulnerable. At the same time, many European employers experience difficulties finding young people with the right skills to fill their vacancies. Developing solutions to these challenges is critical if we want to secure a bright future for Europe’s young people and a strong European economy. European youth often lack necessary job skills and entrepreneurial competences, which contributes to consistently high youth unemployment rates. To address this problem, a group of policy and industry stakeholders gathered today to launch the Entrepreneurial Skills Pass (ESP), a European qualification in entrepreneurship for young people, giving potential employers proof that its holder has real entrepreneurship experience and relevant job skills. Gestern war ich Gastrednerin auf der Veranstaltung zur Einführung des europäischen Entrepreneurial Skills Pass der JA-YE Europe. Ein Pass also, der bestätigt, dass man bereits über unternehmerische Kenntnisse und Erfahrungen verfügt. Das ist wirklich einen gute Sache. JA-YE Europe, eine europäische NGO, bietet professioneller Unterstützung für Schüler und Studenten bei der Ausarbeitung ihrer eigenen Geschäftsidee. As Nelson Mandela said, education is the most powerful weapon which you can use to change the world. However, undisputedly, quality of education matters. Given the current era of digital revolution and Industry 4.0, digital skills and entrepreneurial attitude are key to drive our economies forward and secure successful future for our youth. A new initiative has been launched in Brussels by JA-YE Europe (Junior Achievement – Young Enterprise Europe) to provide the skills needed: the Entrepreneurial Skills Pass. A programme that provides training, and real world experience with business and mentorship. Included is the financial literacy many young entrepreneurs lack or would like improved. JA Europe and its partners (WKO, Foundation for Entrepreneurship - Young Enterprise Denmark, CSR Europe) are hosting a high-level roundtable lunch with policy stakeholders from the public and private sector on 4 March 2015 - the Launch of the Entrepreneurial Skills Pass (ESP). ArcelorMittal partners with Junior Achievement – Young Enterprise Europe to give young people from different communities easy access to innovative and quality educational programmes. Together, we cultivate entrepreneurship by teaching young people about enterprise, business and economics in a practical way. An international qualification that has just been launched aims to give students access to further opportunities and facilitate their transition from education to entrepreneurship or employment. The Entrepreneurial Skills Pass (ESP) runs in 26 countries and certifies students between the ages of 15 and 19 who have had a practical entrepreneurship experience and gained the necessary knowledge, skills and competences to start a business or be successfully employed.